Many people assume that the life insurance policy that they have when they are young will be sufficient throughout their lives. Although this may be true for some individuals, it may not be the case for you. Many people do not think about getting a life insurance policy until they are 70 years old or older. Other people may purchase life insurance earlier in life; however, their term life policy ends or they lose their insurance coverage for another reason. If you or your loved one is aged 70 or older, you have the right to purchase, and can receive assistance in choosing a life insurance policy. Most insurance companies do not want to share pertinent information about life insurance policies because they do not want to insure a person who has health issues that can result in an early death before the insurance company has collected a lot of money from the insured to cover the costs of the policy. 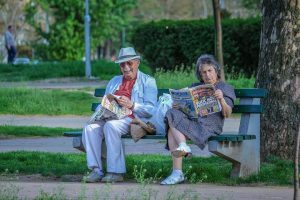 When a senior is reaching the age of 70 and begins to look at the different life insurance options, it often seems that their choices are very limited and the insurance premiums are very expensive. However, you have many affordable options. There are insurance companies that offer affordable payments and plenty of insurance coverage, no matter your age. Because there are several options when it comes to life insurance policies, you must determine your unique needs and guidelines. This information will help make your search much easier. Getting a life insurance policy for someone who is older than 70 does not have to be expensive or difficult. All you need is to understand the type of coverage you are looking for. If you are not sure what policy features that you need, talk with a professional. Life insurance agents or companies can help you to find the best coverage to suit your needs. The insurance premiums and the terms associated with life insurance policies can be confusing. There are different types of policies available. If you are looking for a life insurance policy and you are over the age of 70, use a life insurance professional to help guide you through the confusion that often surrounds life insurance policies for the elderly. Obtaining a life insurance policy does not have to be difficult or expensive. You can obtain a great life insurance policy if you are over the age of 70 and even if you have some health concerns. Many people believe that a life insurance policy cannot be obtained after you reach the age of 70 or if you have a medical condition. There is no truth in this belief at all! There are several life insurance policies that are affordable if you know what to look for and how to obtain the policy. One of the best ways to find the best policy is to work with an independent insurance agent. You should never try to find an insurance policy for yourself or your loved one aged 70 or older because it is quite difficult. A licensed insurance professional will work to find an affordable policy with the benefits that you need. Term life insurance is one of the most popular types of insurance policies; however, this is not the best type of policy for people aged 70 or older. If possible, you should avoid this type of life insurance policy if you are over the age of 70. Although term life insurance policies are the most popular type of life insurance on the market, it isn’t the best policy for those aged 70 or older. Why? Term life insurance policies for the elderly often have high premiums that continue to increase dramatically term of the policy (10 to 15 years). Typically, someone aged 70 or older will only need a life insurance for 10 to 15 years; however, if the person needs life insurance for longer than this, the term could run out and the rates of the policy would increase dramatically when they reapply for a term life policy. Although term life policies seem affordable at the beginning, you need to look at how the premiums will increase for the duration of the policy. Oftentimes, you will find that this type of insurance is not the optimal choice for you or your loved one. Are you looking to purchase a new car because you have a new baby coming in the next 9 months, but you cannot get loan approval due to poor credit? If you are in this situation, it is possible to quickly improve a bad credit score. This is due to the fact that the factors which affect your credit score are at your finger tips. However, this will take a little effort on your end. Of course, it is important to be realistic when looking at quickly improving your credit score. After all, you will not be able to see a difference tomorrow, but you may be able to quickly see an improvement once you get the ball rolling. This will usually range from 3 months to a year or so, depending on the start health of the score. When you show that you’ve become disciplined with your spending as well as your debt re-payments plan, you’ll have a better chance of showing that you’re a ‘low-risk’ client. First off, you need to get a copy of your latest credit report and this can be requested from the credit bureaus. To do this, you will need to send them some basic personal information and then wait for 2 to 3 weeks to receive the report by mail. If you’re willing to pay a minimal fee, you will be able to get your credit report online. The credit score (3 digits) is the ‘key’ number score in the report. It will tell you your overall credit health. The report will include additional information about certain accounts. This can be a tad overwhelming to flip through, especially if you do not know what you are looking at. There are a number of explainers that you can use which will help you with this. It is impossible for you to improve your credit score without any history of credit. Young adults and those new to the country often have this issue because they’re just getting established financially. This is why you should look at keeping old accounts open. The longer you can show responsible credit history, the better it looks. Having old debt which has been paid consistently as agreed will help you boost your overall score. You should be looking at your credit report at minimum once per year to ensure that everything on it is correct. Checking for errors, typo’s or incorrect info, is good practice. If found, you’ll need to initiate a request for an edit to the posted information. Errors such as; missing or incorrect info in your report (often due to someone with a similar name), debts that are not yours, and even debts that may have been fully paid, but have inaccurate payment historical details. There are many people who view increasing their credit limit as only a means of enabling them to go even deeper into debt. This is not completely true. Increasing various credit limits can result in great advantages if managed responsibly and wisely. This will decrease overall “credit utilization ratio” which will, in turn, improve your credit score, particularly if you are keeping up with your payments. Punctuality is vital when it comes to paying your bills and repairing your credit. Approximately 35% of the credit score is made up of your payment history. If you’re constantly late with making payments on your loans and credit cards, your score will suffer. If your score is taking a hit from late or missed payments, you might want to think about setting up auto-payments. Automatic payment are a great way to stay on top of debts with a fixed payment date. This will include personal loans, student loans, car loans, and your mortgage. By doing this, you won’t forget to make a payment against and this will improve your score. A lot of people assume that this will be counter-productive, but is it actually the easiest ways you can repair your score. Your credit score is basically built on how you use credit and your ability to pay it back as agreed. It shows you can manage your personal finances. You should look at ways you can use your credit for normal purchases like groceries and utilities, as these are expenses you would normally purchase with your checking account, and then transfer the balance from your checking account to the credit card as the payment each month..
One of the simplest ways that you can build credit history would be to open a secured credit line or card. This is an account which requires you to make a deposit upfront and can be used like a normal credit card. This is a good option for people without any credit history yet, or a low score who have a hard time getting a traditional loan or credit card account. It is not a good idea to keep a high balances on your cards. Maxing your cards out each month and not making any payments, will affect your credit score because the used credit will be compared to the available credit. A good rule is to never exceed 30% of your available limit. This means that with a credit card with a limit of $2500 should never exceed a balance of $750 in a month. You will be able to get a free credit report from the credit bureaus. All you need to do is send them some basic personal information and then wait for them to send your report by mail. For a moderate fee, you’ll be able to get instant access to the report. You need to get your credit report to monitor the changes and to ensure that everything is correct. The credit bureaus will often have guides that you can use to help you determine what the report states and how this affects your score. When you can clearly understand what your credit score is, you will have a good idea of what you need to do to make it better. There are a number of steps that you can take to try and quickly turn your score around. Of course, you will need to be realistic in the time-frame that you allow for this because it will vary depending on the starting health of your credit score and how much you want to improve it.